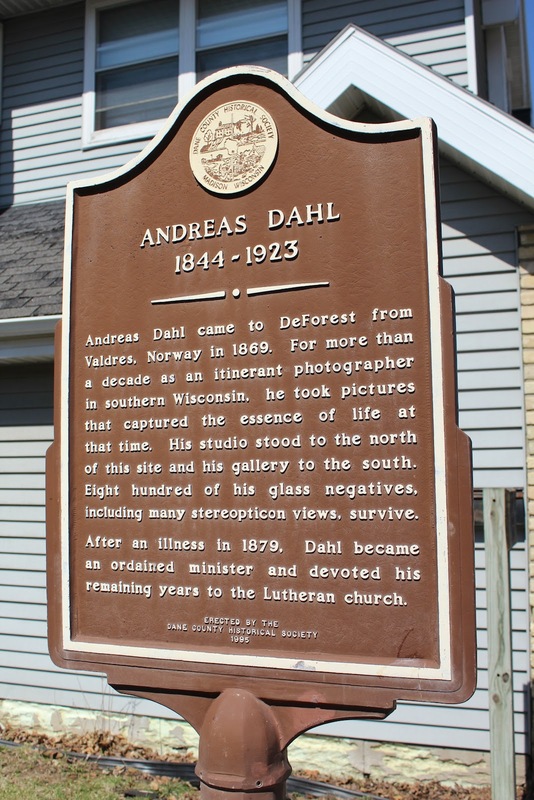 Andreas Dahl came to DeForest from Valdres, Norway in 1869. For more than a decade as an itinerant photographer in southern Wisconsin, he took pictures that captured the essence of life at that time. His studio stood to the north of this site and his gallery to the south. Eight hundred of his glass negatives, including many stereopticon views, survive. After an illness in 1879, Dahl became an ordained minister and devoted his remaining years to the Lutheran church. The marker is located on southbound South Main Street, south of its intersection with West Holum Street / East Holum Street, at 112 South Main Street, De Forest, Wisconsin 53532. The marker is No. 32 in the Dane County Historical Society Markers Series. Looking north along South Main Street . . . 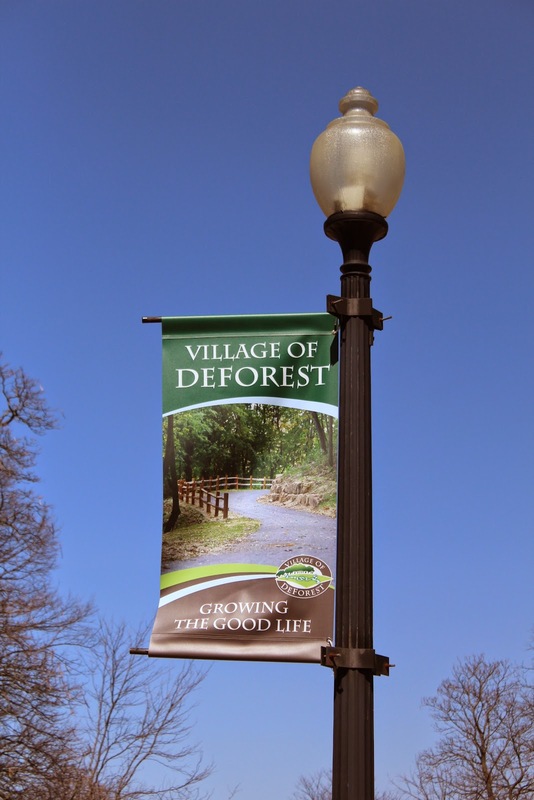 The marker is in De Forest, Wisconsin.